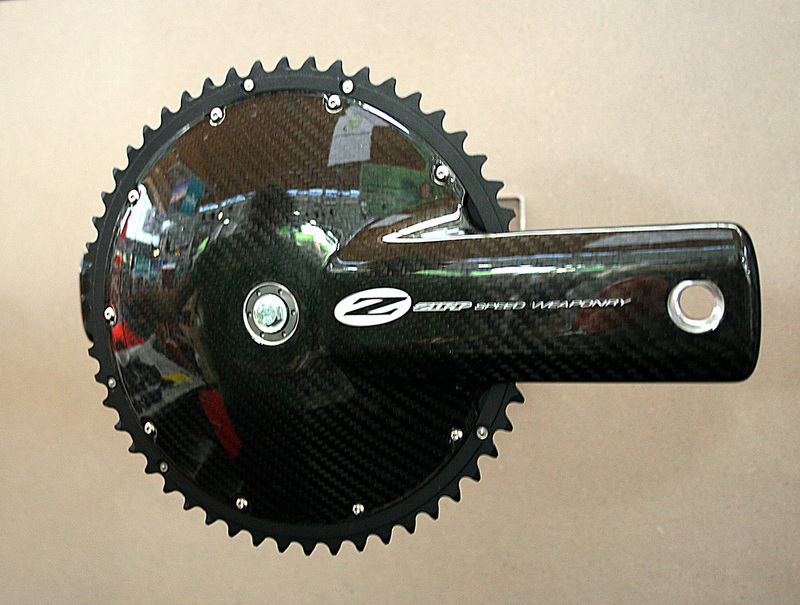 EUROBIKE EXCLUSIVE: ZIPP CARBON CHAINSET AND STEM. The BB30 standard aero chainset looks very similar in outward appearance to the BMC customised Campagnolo record chainset, this new treat from Zipp expands their aero equipment range into the world of chainsets. 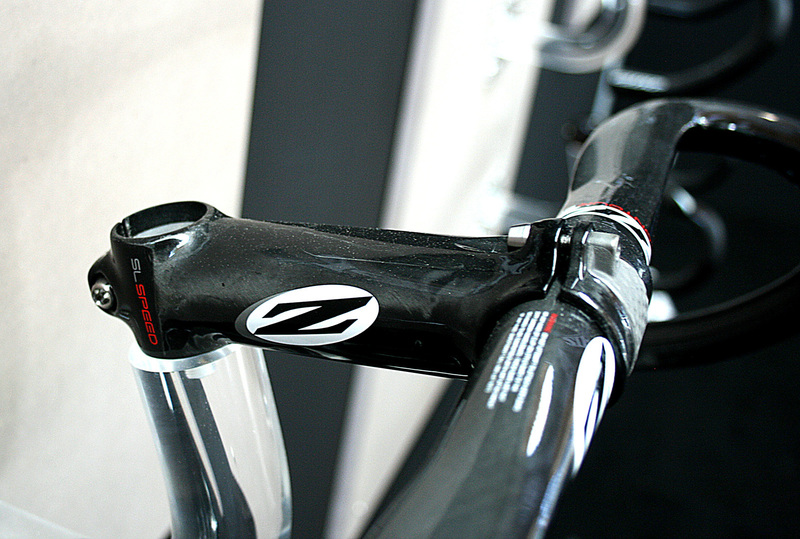 New Zipp stem with a carbon finish very similar to Easton and a rear operated faceplate bolt is a departure from the bulky bontrager-alike that they previously produced. A nice touch is the dimpled face plate, it may or may not work but dimples seem to have become Zipps trademark so why not use them elsewhere? ?